It was a predictable outcome: When Trump announced last month that he was ending a self-inflicted 35-day partial government shutdown, it was clear he was flying the white flag of surrender from an imaginary watchtower on the unbuilt wall. But the final frame of the president’s slow-motion capitulation couldn’t have come at a worse moment for him. He was minutes away from accusing Democrats of risking a second government shutdown over what he says are far-left immigration policies that endanger Americans’ personal and financial security. He has said he believes it’s a winning issue for him — and a losing one for them — despite the fact that he campaigned on immigration during the midterm elections and Democrats won handily across the country. But it will be harder for Trump to paint Democrats as radicals — either in Congress or on the presidential campaign trail — after Republicans struck the border-security deal with them. Now, Trump will have to decide whether he wants to stand against both parties in Congress, whether he wants to shut down the government over the wall again or declare a national emergency and whether he thinks he’s a good enough salesman to make the case that Democrats are extremists when his position on the wall is the minority one. That is to say, logic and the facts weren’t the strong suit of his argument. But it’s understandable that Trump — who gave a shoutout to the Alamo during his remarks — didn’t want to turn the spectacle of his first big campaign rally of the presidential election season into an acknowledgment that he had just suffered another stinging defeat on the central promise of his last campaign. By all accounts, including his own, he had been looking forward to this moment. There can be little doubt that, after watching Democrats pile into the presidential race over the last couple of months, Trump had been more than ready to let loose. And, as he said Monday night, it was “more fun” to go to a campaign rally than to deliver his State of the Union address last week. 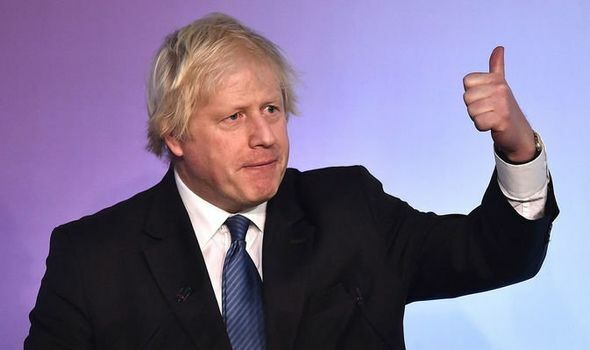 BREXITEER Boris Johnson will not campaign for the Tories in the upcoming European Parliament elections, his allies claim. Asian American political groups plan to host a forum in Orange County, California, for Democratic presidential candidates this September, the groups announced Thursday. AAPI Victory Fund, a super PAC, and Asian Americans Rising, a PAC, said they plan to host the forum Sept. 8. Participants have not yet been announced, but the Orange County Register reported that an organizer said several “top-tier” candidates have pledged to appear. The forum would highlight Asian American and Pacific Islander issues, a statement said. Three Asian Americans and Pacific Islander candidates— Sen. Kamala Harris, Rep. Tulsi Gabbard, and Andrew Yang — are running for president, organizers noted. In total, there are at least 17 Democratic candidates running for president as of the beginning of April, with almost half a dozen others expected to announce soon. California has the largest total Asian American and Pacific Islander population in the United States, with more than 5.6 million according to 2017 Census Bureau estimates. The group has found growing political power: In the 2018 primary, at least a dozen Asian Americans ran for office, and the state saw its first-ever gubernatorial debate focused on Asian American issues. Orange County — once considered a GOP stronghold — has found particular prominence. About 20 percent of the county’s population is Asian American or Pacific Islander, according to census estimates, with large populations of people of Vietnamese, Chinese, Korean, Filipino and Japanese descent. According to the 2016 NBC News exit poll, 65 percent of Asian American voters placed ballots for Hillary Clinton in the last presidential election. In the 2018 midterm elections, 77 percent of Asian American voters voted for Democrats. 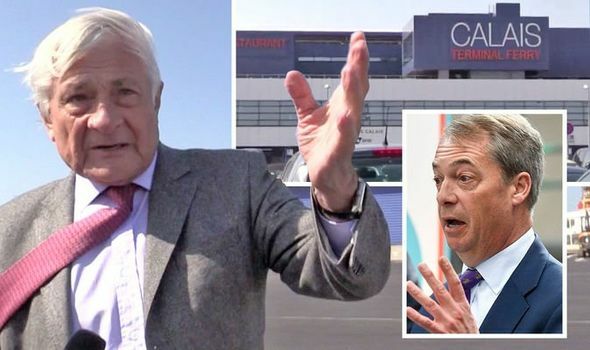 CALAIS’ port boss has launched a furious tirade against Brexiteers who led a campaign of “lies” to make the EU look like a “dictatorship” to persuade them to back Brexit.